Taxi partitions are about to go the way of the checkered cab in New York City. The Taxi & Limousine Commission officials said Thursday that cabbies can do away with their partitions — so that they can better compete with Uber by seeming friendlier. The move also will help the hacks make better tips, the officials said. “When there’s no partition, a driver can have a conversation with the passenger,” said TLC board member Nora Marino. 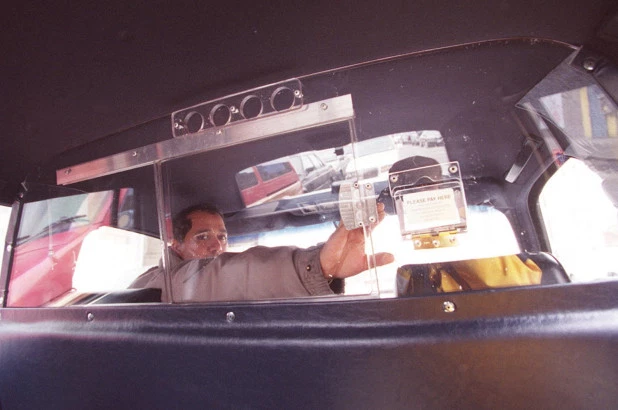 Partitions were mandated for yellow cabs in 1994 as a safety precaution for drivers in the city’s sky-high crime era. Cabbies who take down their partitions will now be required to install a security camera instead. Good ol' NY Post. None of these points make any sense. Plus none of it is informative. "Without partition, you can talk to your passenger." What am I supposed to do with that info. It's amazing how much stupidness can fit into a head especially when it comes from public servant employed by the City of NY. Oh honey it safer for us if you switch to a janitorial position where you do not cost human lives. I'm installing a limo patition in my minivan so No partitions is not a thing of the past. This article is not remotely accurate. It's from 2016 and I still see plenty of partitions on taxicabs. In fact, on those new Nissan taxis, there is even a tighter, thicker, bulletproof partitions. REALLY? More tips for not having a partition? "The move also will help the hacks make better tips, the officials said."